The Guest Home / Hostel is located inside the center of the shopping center of Hong Kong, Tsim Sha Tsui. Our area allows for effortless access to any other places in Hong Kong. This property is reasonable to stay and to visit in a night life with affordable price. Definitely the location, near to several facilities. And silent room. Good if you just look for a place to stay at and don&'t expect much. Clean and nicely located, even though it is in Chungking Mansions. Hong Kong Rates of course. Close to each and every place in hongkong/ kowloon, mtr only cross the building, to china only 5minutes walk to train station. Accessibility that&'s all. but still if the atmosphere was not good, it doesn&'t help at all. no room for relaxation all are stress. Very central, bathroom in dorm room (although i'm not sure this is the case with all of the dorm rooms). Although you have to pay for internet, it was well set up for skype. Very central, bathroom in dorm room (although i&'m not sure this is the case with all of the dorm rooms). Even though you have to pay for internet, it was well set up for skype. 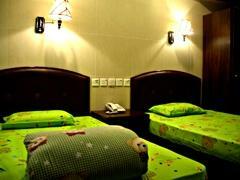 * Hong Kong Star Hostel rated 2.78 out of 5 based on 9 customer reviews. Hostel reviews with a star rating are sourced from HostelBookers. If you find Hong Kong Star Hostel with the same booking conditions at a lower rate somewhere else on the internet after you have booked, we will refund you the total difference.